While I have written about Instagram in a recent article in PMQ, I wanted to rehash the ideas as Instagram continues to be one of the fastest growing social media tools today. Also, pizza is one of the greatest foods to photograph and with Instagram being all about photos, it makes sense that your pizzeria would be on there. As Sue Zimmerman shared when she wrote for Slice of Life last year, Instagram is super efficient and easy to use. The best part about it is that it lets you connect your other forms of social media so you can take one photo and spread it across several networks. 1. Show behind the scenes of your business. "People love to see how you do what you do and what makes your business unique. Show how you create what you sell," Sue Zimmerman said. 2. Use video! Show someone spinning a pizza or a customer testimonial or happy kids at a pizza party. As SocialMediaExaminer points out, video has been available for over a year on Instagram and only 4% of businesses have even used it. But those who have, have seen the results. 3. Build an audience. As I mentioned in the PMQ article, promote yourself on social media platforms and do contests and giveaways that promote Instagram. But Vin Ferrer, social media strategist with Graphic D-Signs in New Jersey says take it a step further. “Come up with a unique hashtag for your establishment and have customers use it when they take pictures at your place or with your food,” Ferrer says. “You can measure your effectiveness by searching the keywords for that hashtag. But remember to be patient. This isn’t going to blow up overnight, unless, of course, you publicize a giveaway such as, ‘Get a free pie when you Instagram our storefront!’” Ferrer said. 4. Don't go it alone. You've built the audience so now ask for user-generated content. This is one area where pizzerias have an advantage to engage their customers. Snap a photo of that pizza upon delivery (Domino's has their plea for Instagram photos printed onto the box!) or take a photo when at the restaurant. Hashtag your pizzeria name or tag your user name! Social Media Examiner has more on this here. 5. Have fun with it but remember it is about your brand! Post silly photos of your employees and customers. Post fun pictures that share with customers that your brand is open and engaged and having fun. But be careful! Philadelphia-based social media expert Alexandra Golaszewska from AlexandraGo.com, warns Instagram can be used incorrectly. Examples include posting bad photos, making negative comments to customers, posting too many images and quitting over a low follower count. She also recommends against spamming other users’ threads with promotions from your pizzeria. Bonus tip: Get to know hashtags and learn which ones work best for food photography. 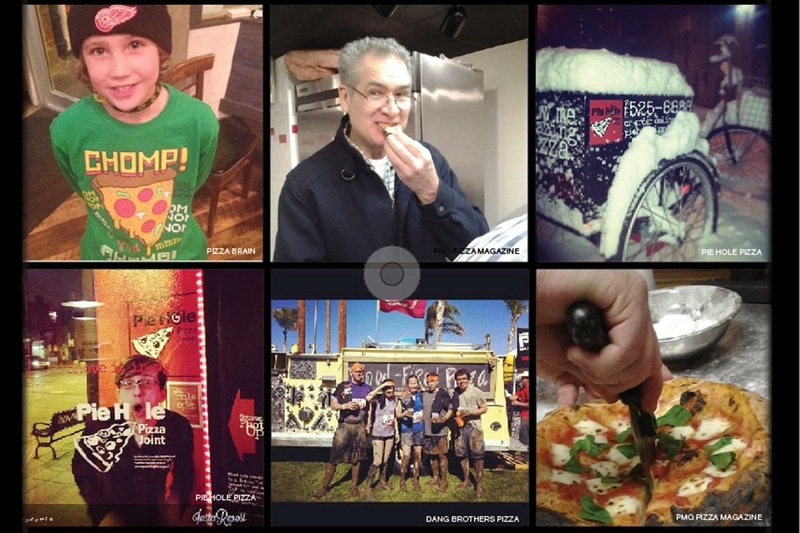 Check out http://top-hashtags.com/instagram/ for the most popular tags but also check other pizzeria users to see what works in our industry!